Instate 9:30 a.m. until Mass begins at 10:00 a.m.
Albu, Virginia Ann, age 93, passed away September 18, 2018. Beloved wife of the late Romulus. Dear mother of Romulus M. (Cindy), Virginia M. (Thomas) Long, Michael L. (Ally), Christine (Dave) Luce. Caring grandmother of 10 and great grandmother of 22. Loving Sister of Mary (Michael) Tyler. Visitation Sunday 3-8 pm with a Rosary 7 pm at Neely Turowski Funeral Home 45100 Warren Rd., Canton, MI. 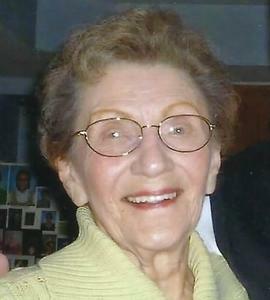 A Mass of Christian Burial will be Monday 10 am at St. John Neumann Catholic Church, 44800 Warren Rd.,Canton, MI 48187.To share a favorite memory and/or photo of Virginia and to sign the online guestbook, please visit www.TurowskiFuneralHome.com.